Hemp2o is made with industrially processed hemp oil. The hemp seed oil used in Hemp2o is bursting with omega-3's. These essential fatty acids provide heart health and anti-inflammatory benefits. 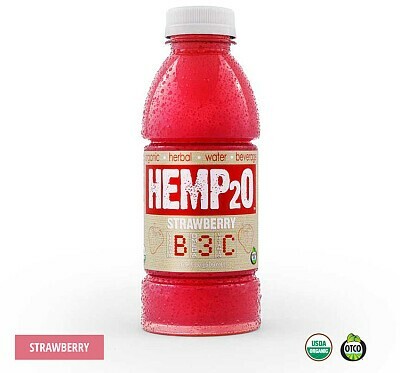 Hemp2o is also fortified with B vitamins and vitamin C. It contains 100% of the RDA of B3, B6 and B12.